The rate of conversion refers to the number of website visitors who become customers. Your website’s conversion rate can give you valuable information about how well your site is performing. Developing a vibrant, attractive website is not always enough to improve your conversion rate. This is why Avital Web offers conversion rate optimization services. We can help you to increase the number of visitors to your site and encourage them to take action. Advertising was long the realm of newspapers, magazines, direct mailers and billboards. Fortunately, today we have the Internet. The Internet has allowed millions of businesses to go online and create websites that showcase their products and services more effectively than ever before. 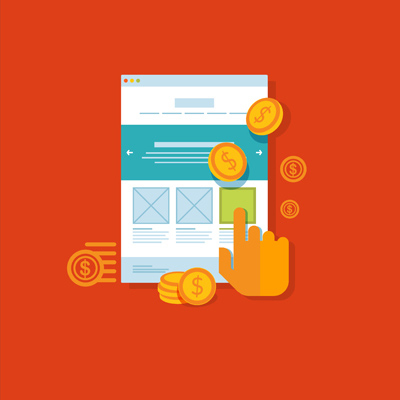 Your website can be a powerful source of revenue when used the right way. Avital Web has years of experience, where our dedicated team of SEO experts and website professionals can boost your conversion rate and help you get the most out of your site. Our SEO company tracks visitors and responses to determine which ones are the best campaigns to help your business grow. Online responses can change from hour to hour and day to day. Sometimes identifying what has stimulated interest and conversions can feel like searching for a needle in a haystack. We make the process easier for you by studying the trends, documenting patterns and optimizing conversion rates using real-time data in a real-time environment. We may use web analytics, surveys, copywriting, landing page evaluation and other strategies to better target your audience and encourage the results that you want. Conversion rate optimization can boost your site’s conversion rate, and it can offer you a more cost-effective solution compared to traditional print media or other media campaigns. Call us today to learn more about how we can make your site work for you or to schedule an appointment with our Avital Web team.